Hey everybody! 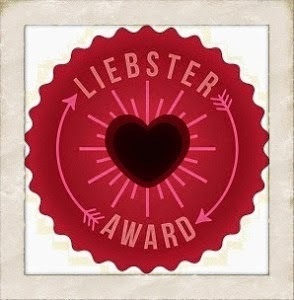 Lauren over at ZoePhee nominated me for a Liebster award. How cool is that? I follow ZoePhee regularly, and am honored that she thinks as highly of me as I do of her. If you haven't checked out ZoePhee, you really should. I started blogging in 2012 after the death of Logan, my heart dog. I had a difficult time dealing with his death and writing about it was therapeutic. Fortunately, the blog quickly morphed into something more fun and less morose. I've wanted to go to Australia ever since Paul Hogan offered to "slip another shrimp on the barbie" for me. Do you even know who Paul Hogan is? Am I dating myself again? What is your favorite breed of dog and why do you like that breed? I love German shepherds. Surprise! They're very smart, loyal, and extremely versatile. There's a saying that goes "German shepherds are number one and nothing but number two and everything." Who is your favorite dog trainer(s)? Wow, this is a tough one. I've been reading dog training theories since I got my first copy of No Bad Dogs by Barbara Woodhouse in the 80s. I think they all have some merit to them -- even Cesar Milan who promotes exercise, routine and boundaries. I know a lot of whacked out dogs that could use some help there! However, I'd have to say that my favorite dog trainers are the dedicated men and women of K-9 Obedience Club here in Jacksonville. The knowledge, support and camaraderie I've received from my fellow club members is incredible. I love my grooming table and forced air dryer. I can have my double coated German shepherd washed and blown dry in less than an hour. And my back doesn't hurt afterwards. They were worth the money! You mean in addition to blogging and working with my dogs? I enjoy reading, movies, music, grown-up game night with friends and solving logic puzzles. I also enjoy photography -- I'm not good at it, but I enjoy it nonetheless. It's a toss up between tigers and elephants. Fortunately we have them both at the Jacksonville Zoo! How do you come up with ideas for your blog? There's no rhyme or reason to my blog. I do stuff, I write it down. Sometimes I'll try to follow the theme of a blog hop. Other times my posts are just responses to something that pissed me off earlier. It's a bit unsettling that my rants seem to be my most popular posts. hmm. I would like to be better organized, so I signed up for the Blogger A to Z Challenge in April. That'll be 26 posts on a single topic (I'm doing dog shows). It'll either be an awesome exercise in focus or a big hot mess. I guess we'll see which come May 1st! Do your dogs have any favorite foods or toys? Roxy will do anything for the laser pointer. Jedi likes Red Barn bones and the Kong Wobbler. But to be honest, I'm his favorite play toy. What is your most favorite activity to do with your dog? I really enjoy hiking the Jacksonville Arboretum and Gardens. And we're having a blast with our Monday night nose work classes. But an afternoon nap or a game of fetch is just as nice. If you could go anywhere (including time travel) and do anything where would you go and what would you do? I'd like to go back and talk to my 20 year old self. I'd tell her to relax and enjoy life, she's not fat, she IS good enough and she needs to stop waiting for the "right time" to do something. Truth is, there is never a right time, so go ahead and do whatever it is it now. I'd also tell her to take better care of her teeth and wear sunscreen. I love a good pun (and several bad ones). I've probably seen Star Wars 100 times. My not-so-secret celebrity crush is Dwayne "The Rock" Johnson. I can drive a stick shift. I love one hit wonders from the 80s. I hate Lynyrd Skynyrd, despite the fact that I'm living in their hometown. My husband has voluntarily put up with my crap for over 26 years. One summer my kids and I watched every James Bond movie from Dr. No to Die Another Day -- with commentaries. And then we wrote a paper on it. Yes, I'm THAT mom. I lived in Japan for 3 years. What blog-related goals would you like to accomplish in 2015? What is you favorite dog breed and why? 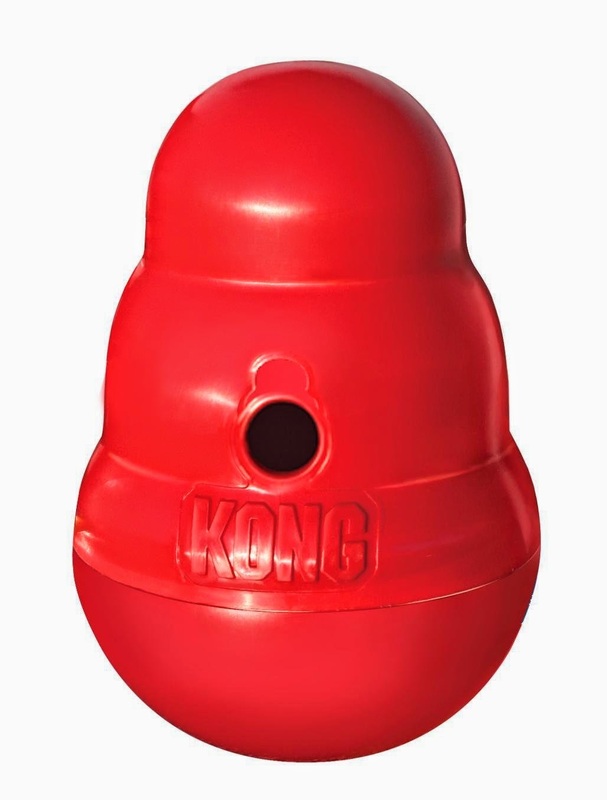 Does your dog have a favorite toy or treat? What is your favorite dog themed book or movie? What is the best training tip you ever got? Chasing Dog Tales -- This is a new blog that I discovered recently. I got lost in it, clicking around for an hour or so. (Jedi says it was longer than that, but he can't tell time.) The information is great, the pictures are beautiful and I look forward to what Elaine has to say next. Let's Go Dog -- I was paired up with this blog for the Pet Blogger's Gift Exchange. Boy did I luck out. This is a beautifully done blog, very informative and lots of fun. And you can't miss the gorgeous pictures of the Pacific Northwest. Tails From the Road -- For years I've told everybody that I want to buy a camper and travel the country with my dogs. Well, I'm not (yet) but Juliet is! So until I win the lottery, I'm going to live vicariously through her blog. Nominate and link to 3 to 11 other blogs you enjoy that have less than 3000 followers. I had also planned on nominating DZ Dogs, but apparently Allison was tagged by Walks with Rama (another of my favorites, and the same blog that nominated ZoePhee) and DZ Dogs nominated us first. That being said, Dante and Ziva are wonderful pit bull ambassadors. I love following their adventures and looking at the beautiful pictures. You really should check them out.